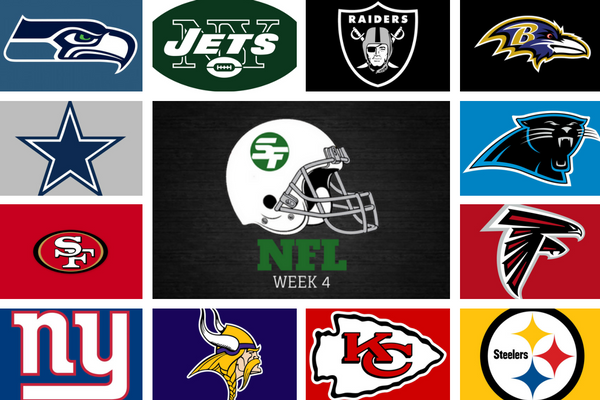 We head to NFL week 4 with five teams still undefeated. The Eagles have the week off so they’ll stay undefeated at least one more week. Last week, we were 12-4 (75%) ATS! Can we top that this week? Follow SportsFormulator on Periscope and get free NFL picks live Friday at Noon ET. Using our predictive formula we’ve predicted every NFL game on the board in week 4. Play our Free NFL Pick ‘Em contests picking games Against The Spread or just pick game winners. Get NFL predictions all season long from SportsFormulator.